Trench Farm in Penley, Wrexham, offers superb campsite accommodation in a beautiful location. 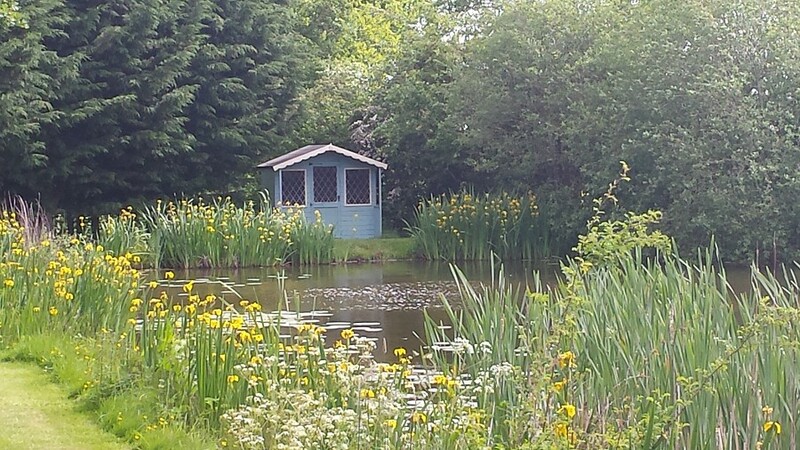 Situated in 150 acres of farm and woodland, it is perfect for wildlife lovers. Having been open for over 30 years, Trench Farm has built a reputation for providing excellent quality fishing. There are 3 main pools and a nature reserve. Fishing for two people is also included in the nightly pitch fees. There are pitches for touring caravans and camping, with full facilities available. There are 5 hard standing pitches and 15 grass pitches, plus many tent pitches as well. Wildlife on the farm is abundant, it is an ideal habitat for many species of bird, insects, butterflies etc. Don't be surprised when walking by the fishing pools if you see a bright flash of blue/green as a kingfisher darts by! Barn, tawny & little owls are often heard at night, if you are lucky you may even see a barn owl fluttering over the paddock searching for prey in the early evening. Other animals on the farm include badgers, foxes, hares, water voles & many more. Trench Farm is situated just 3 miles from the town of Ellesmere. There are some lovely scenic walks around Colemere and along the Shropshire union canal. Wrexham is just 20 minutes away by car offering excellent shopping facilities.